Photograph depicts a wreckage of a small airplane. 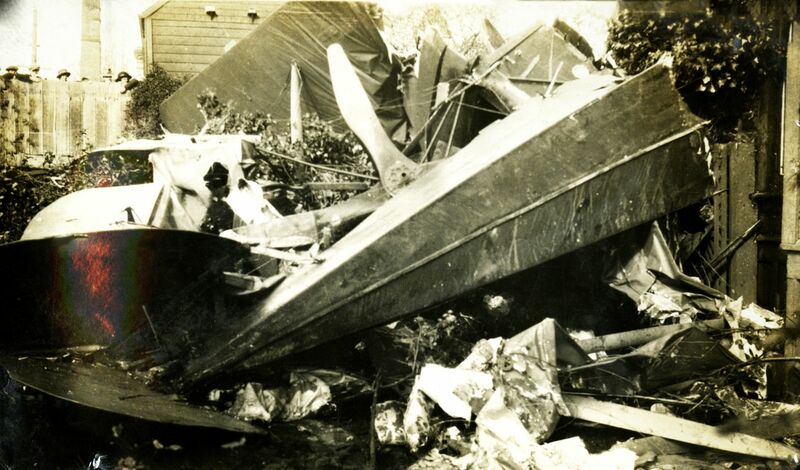 Handwritten annotation below the photograph reads, "wreck of an Airmail plane". This photograph may depict the plane crash that occurred in October 1926 in which a Victoria-to-Seattle airmail plane piloted by Gerald Smith crashed into the home of Senator Robert F. Green on 502 Rupert Street in Victoria, BC.